Buying a car isn't always the easiest decision. You may think you know exactly what you're looking for, then something else catches your eye. It's important to choose a vehicle that you like and feel proud to drive, but it's also important that it provides all the features you're looking for. For instance, you may want a car with great fuel economy if you plan on using it day-to-day. On the other hand, if you plan to use it for long-distance journeys or adventurous trips, you will probably seek out something with a lot of storage room and capable of holding up in rugged conditions like an SUV. 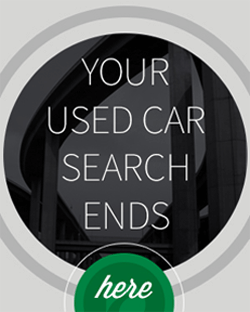 It's especially crucial to pay careful attention to these features when shopping for a used car. Not only do you want it to have certain looks and abilities, but you'll also want to be sure the car is in good shape. You may ask how old the car is, how many miles have been put on it, what the tires look like and if the previous owner was in any accidents. If you are searching for a used car that is also environmentally friendly, you may be considering seeking out a used electric or hybrid vehicle. These can cut down on the number of trips you make to the gas station and, consequently, how much money you spend on fuel. Plus, you'll be happy knowing you are contributing fewer greenhouse gasses to the environment. Autotrader pointed out that it's important to look at the battery. They are usually designed to last about a decade, but it's important to find out what shape they are in. Some of the first electric vehicles started coming out in 2010, which would give any used electric car bought in 2016 at least another four years of life. The Car Connection noted that battery longevity may not only depend on how old it is; the way it was charged is also important. Keeping the car 100 percent charged isn't great if you want a vehicle that will hold a charge for longer. And if you buy a car that ends up needing a new battery, the replacement will probably get pretty pricey. "Know which electric cars are fully supported where you live." One reason many people buy a new electric car is for the tax breaks. These won't apply to you if you buy a used model, though, Autotrader pointed out. But if you're looking to make the purchase to save some money, you will likely see a difference when you cut down your fuel costs. The Car Connection stated that it's important to know which cars are fully supported where you live. For example, the Fiat 500e and Mercedes-Benz B-Class Electric Drive are mainly just supported in select states that have adopted California's vehicle emissions regulations, like Massachusetts, Vermont and New York. Finally, when many people buy a used car, they likely consider how much money they'll be able to make when it's time to sell or trade it in. The fact is, the concept of buying or selling a used electric vehicle is so new, it's hard to tell how this will pan out. But if it has a few good years left in the battery and the rest of the car is in good shape, selling it may not be a problem at all. Once you know what to expect and what to look for, you'll need to begin searching for an electric car you feel confident about. There are some models that you will likely find more easily and have a lower price. Kelley Blue Book noted that the Nissan LEAF is the best-selling used electric car, and is highly affordable. The Car Connection agreed that the LEAF is one of two cars someone in the market to buy a pre-owned electric car should seek out. The other is the Mitsubishi i-MiEV. The reason for these two being the top choices is because they become much more affordable once they're on the market as pre-owned cars. Additionally, they are among the more common cars a buyer will find at a used car dealership. Other electric cars, such as the Tesla Model S, have a tendency to hold their value, even when they are sold used. While this is good for the seller, it does little for the buyer in terms of savings. If I live in NC but saw car I want at dealership in SC can I still get financing approved? Thank you for taking interest in DriveTime. 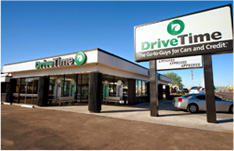 In regards to a vehicle you had seen in another state, I would strongly encourage your to reach out to your local DriveTime dealership for further assistance. They would be able to answer all of your questions pertaining to possibly transporting your desired vehicle to your local DriveTime. To locate your local dealership, please visit our website at http://www.drivetime.com.